You Could Save over $2500 in ONE YEAR! When Do You Insure A Potato? No Need to call all around town. Landmark Insurance can quote multiple companies at once. Not only saving you time but also helping to prove you are offered the best possible price. We are an “Independent Insurance Agency” We don’t work for one insurance company; we work for you. We work on your side when you have a loss and follow thru to make sure you get fair, prompt payment. We represent a carefully selected group of financially sound, reputable insurance companies, and we place your policy with the company offering the best coverage at a competitive price. 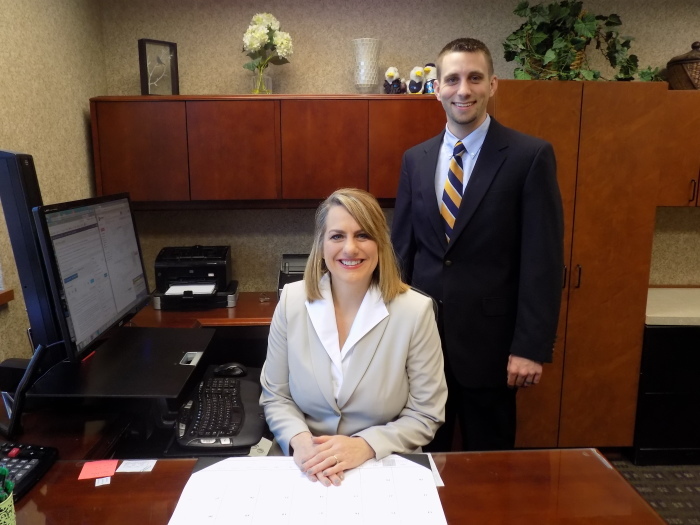 Kim Gray & Kevin Osborn are proud to offer excellent service to all our clients. Good communication is the key to a stress-free insurance process. Our staff is available most hours of the day to answer any questions you might have. In addition to normal communication methods, we use visual voicemail, cloud based file management, and Gmail. This helps us have all the information we need at our fingertips even when out of the office. We will return your call promptly and handle your insurance situation. Landmark Insurance Agency began its life as Shelby Insurance Agency in 1950’s. 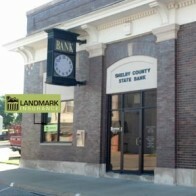 The main office is inside the Shelby County Bank in Shelby, Iowa. In the fall of 2006, we opened an office in Avoca and renamed the agency to Landmark Insurance. We are proud to be affiliated with both Shelby County State Bank and First Insurance Group. With branch offices in Harlan, Portsmouth, Panama, Irwin & Elk Horn we can meet you where you live or work. As part of the First Insurance Group, we can offer competitive rates with several national and regional insurance companies. Each affiliate agency offers its clients the benefit of the combined purchasing power of 150 insurance professionals placing over $200 million of premiums annually. First insurance Group affiliates and their clients enjoy the financial strength of the parent company, First National Bank of Nebraska, Inc., a multi-state holding company which has served Midwest communities for more than 150 years. With nearly $16 billion in managed assets and more than 7,000 employees, First National ranks as one of the largest bank holding companies west of the Mississippi River. First National Bank of Nebraska serves over 6.6 million customers in all 50 states, with more than 50 banking locations in Nebraska, Colorado, Kansas, South Dakota, Iowa, Illinois and Texas.